Anyone who’s had to pull an all-nighter knows that staying up too late or working many hours through the night can feel worse than it seems like it should. After all, it’s just a few more hours, just a different time of day, right? Biologists now think that working through the night comes with negative effects because it disturbs our circadian rhythms, poorly understood internal sources of timing that can be affected by external cues such as temperature and light. In fact, these cellular cycles have evolved as an inherent part of every plant and animal on Earth — even some bacteria. They control various critical processes, shutting energy off and starting it up again based on the planet’s 24 hour cycle of daylight and night. Circadian rhythms are intimately involved with everything from our cognition to how we gain weight to which time of the night or day is the best time for any given activity. These cycles are naturally synchronized within our bodies and the natural environment, but in our modern world, we are fighting them tooth and nail — usually without even realizing it. In 1972, neuroscientists first discovered that a tiny area in the brain’s hypothalamus called the suprachiasmatic nucleus serves as a master circadian clock for the body. This small section of 20,000 neurons transmits signals throughout the body, keeping various processes turned on or off during the 24-hour cycle. It’s primary cue: daylight. Additionally, almost every organ also has an internal clock that works in concert with the suprachiasmatic nucleus, and these clocks control organ function — when the pancreas releases insulin, when the liver processes glycogen or metabolizes fat, and when the eyes repair retinal cells are all controlled by internal clocks linked to this region of the hypothalamus. Our modern world, however, is full of false signals and confusing sensory noise. Light sensors at the back of the eyes that determine levels of ambient light and tell our bodies when it’s time to sleep are most sensitive to blue light — the kind produced by televisions, computer and smartphone screens, and other electronics. Our brains start to think they’ll be challenged to stay up longer and longer, and crave fatty foods and alcohol in preparation. Our bodies and brains are unprepared to cope with modern life and its mixed signals. We adapt and change far slower than technologies are developed, and our circadian rhythms can’t keep up. These cycles which have served us so well throughout the ages are now, especially for people like emergency room doctors, fire fighters, cab drivers, fabricators, and many service workers, permanently disrupted. Chronobiology is the study of the way in which circadian rhythms impact the body, and how our modern lives disrupt them, to the detriment of human health. 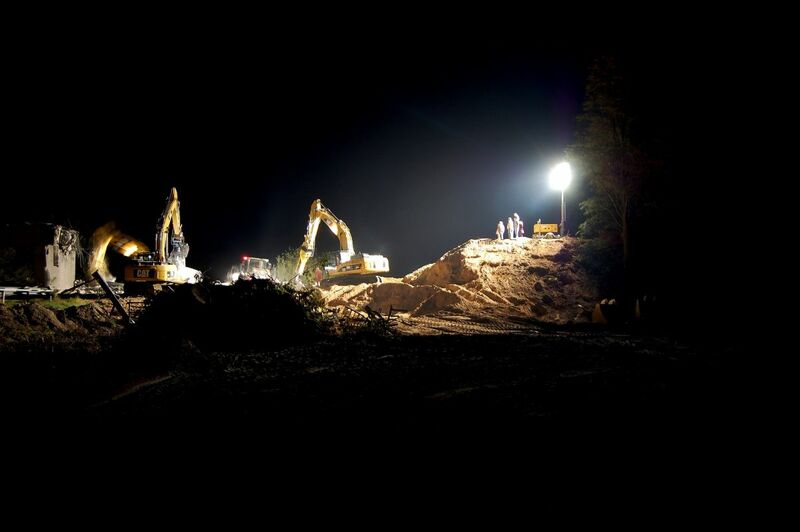 According to data from 2004 from the Bureau of Labor Statistics (BLS) of the Department of Labor (DOL), the last year for which the data is available, almost 15 million Americans work night shifts or irregular schedules that include nighttime work. There is a host of cautionary information available about working such hours, that clearly warns workers of the health risks of working overnight. However, many people who work at night have little choice in the matter. Using data from the 2004 set, only 1.3 percent of people in higher-level managerial positions work at night, and of sales, technical, and administrative support workers, 3.5 percent work the evening shift and 2.1 percent work the night shift. The vast majority of night workers are from blue collar professions, particularly service workers, operators, fabricators, and laborers. 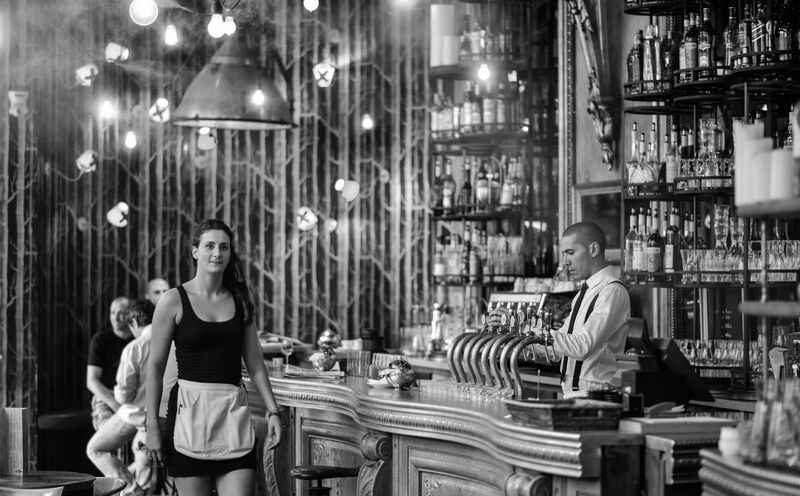 Of service workers (which include food service, protective services, and cleaning services), 10.8 percent work the evening shift and 6.5 percent work the night shift; and of fabricators, operators, and laborers, 7.7 percent work the evening shift and 7.4 percent work the night shift. In other words, people who are not in management and have less control over their hours are more likely to work evening and night shifts. Even for professionals like doctors, night shifts in places like emergency rooms are more likely to be staffed by residents, those new to the profession who are still working upwards. Dangerous mistakes also pose a risk to laborers. Serious industrial accidents occur most often in the hours before dawn; the 1979 Three Mile Island nuclear reactor meltdown, for example, took place overnight. Workers who regularly staff the graveyard shift are also at higher risk for cancer, depression, diabetes, and obesity. In fact, in 2010, the World Health Organization (WHO) actually classified late-night work as a probable carcinogen. Disruption of circadian rhythms is also dangerous to our mental health. Researchers have found that 70 percent of people who cannot sleep at usual times due to disorders such as genetic abnormalities also suffer from mental health conditions such as anxiety or severe depression. Almost two-thirds of patients with bipolar disorder also report abnormal sleep cycles. 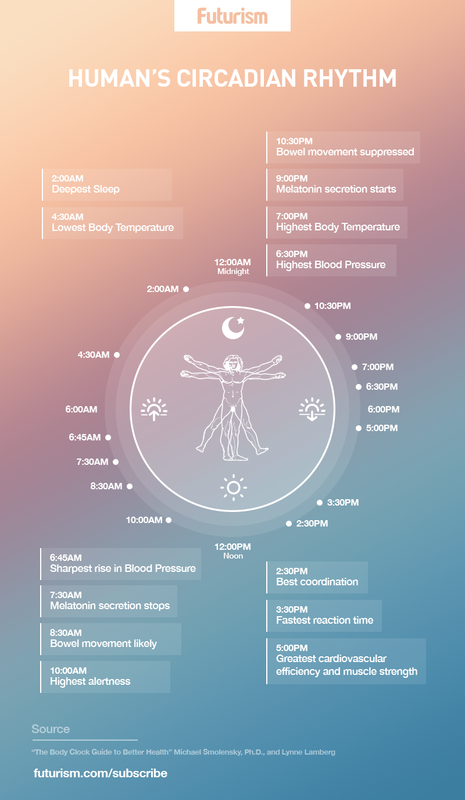 Fortunately, doctors are beginning to not only take chronobiology and circadian rhythms seriously, they are also starting to apply the lessons learned from chronobiology in other areas. For example, doctors treating cancer have relied upon findings from chronobiologists to plan more effective chemotherapy treatments. Patients who receive chemotherapy later in the day have a better chance of avoiding nausea because their stomach linings are better able to repair themselves then. How will chronobiologists and their work affect the economy and the lives of the millions of people who work overnight? This remains unclear, but in an economy with a low unemployment rate and work results valued over health, it’s not likely we’ll see shift work going away anytime soon.